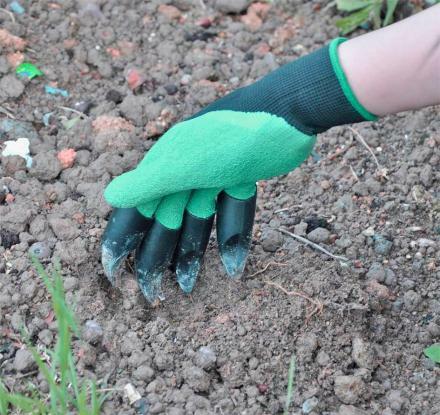 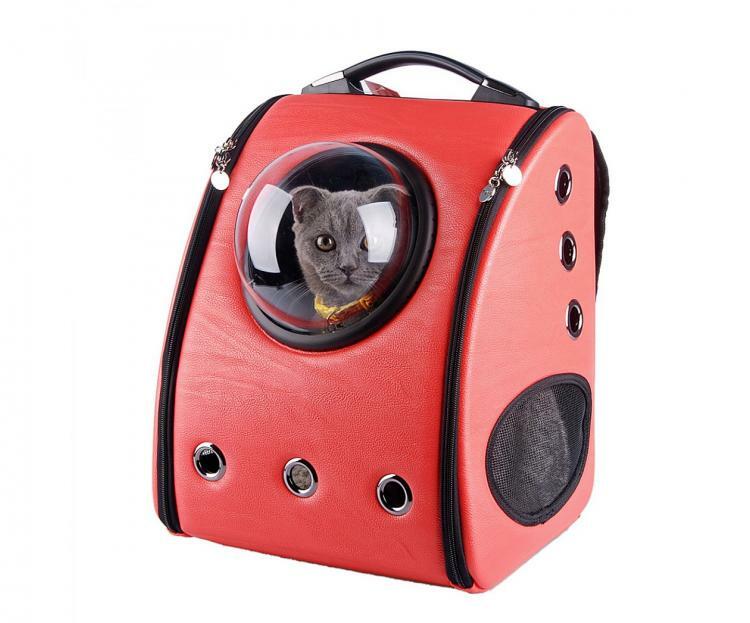 Usually when you wanted to travel with your cat you had to just dump him into a big garbage bag and tie it off at the end until you get to your destination, making sure to pop a few holes in the bag to make sure they can breathe a little. 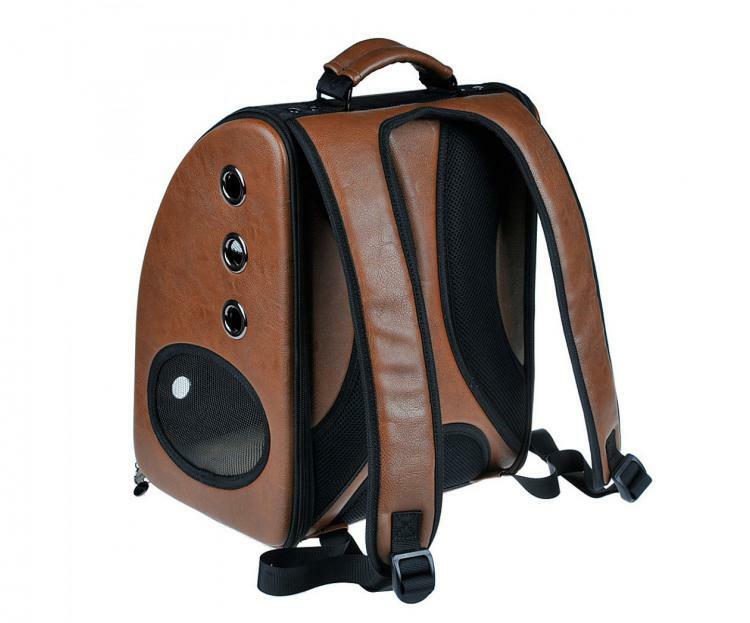 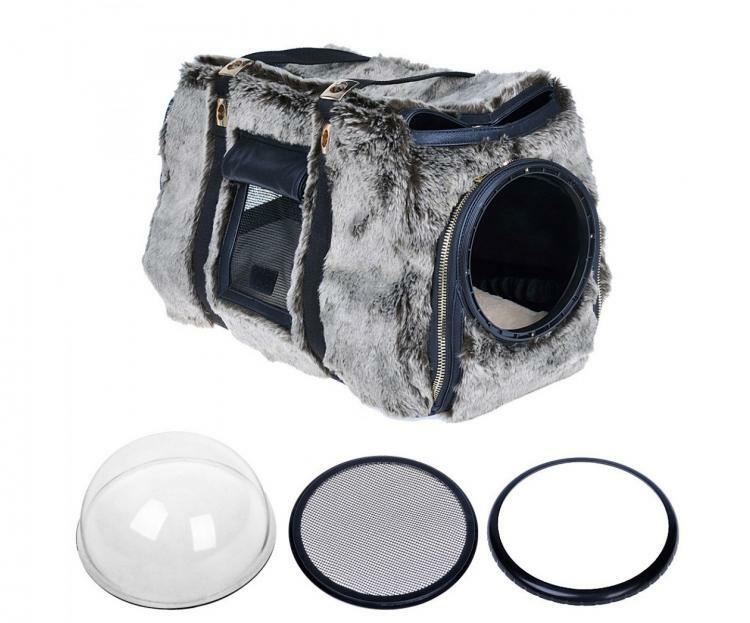 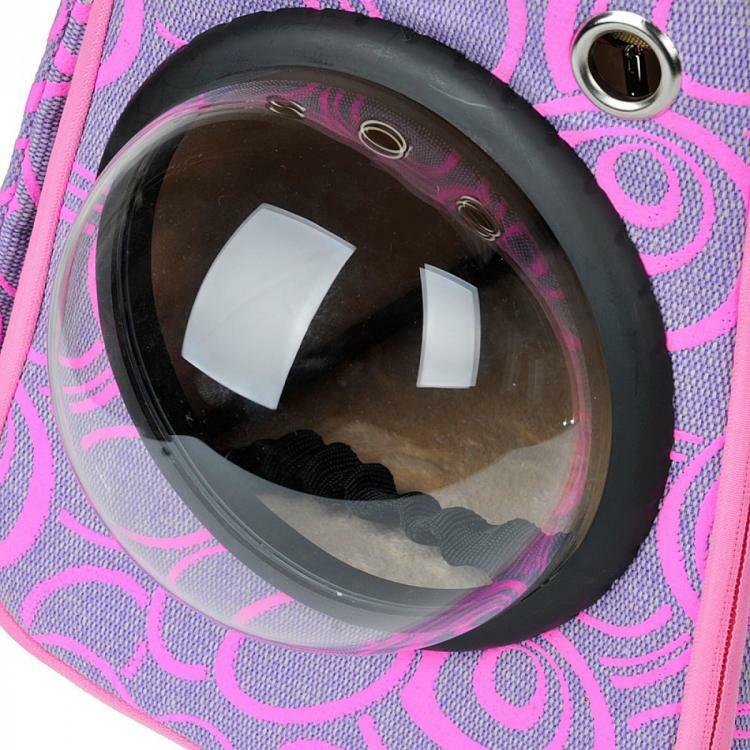 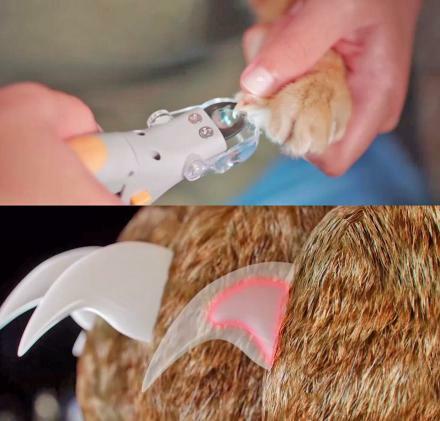 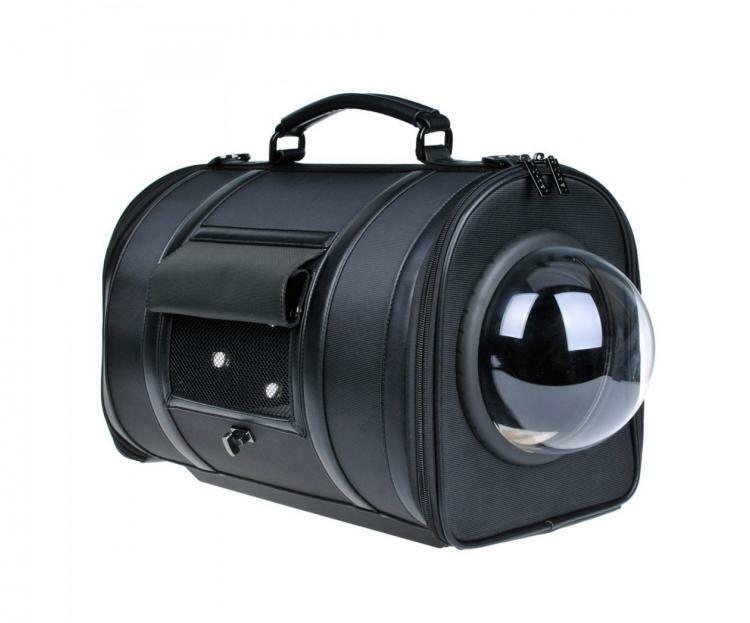 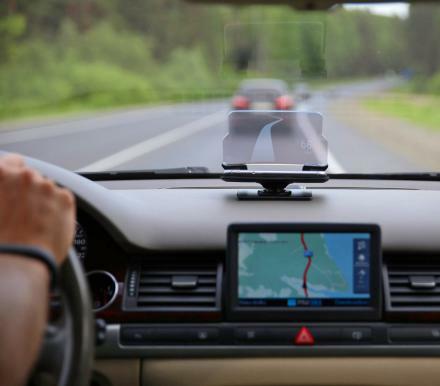 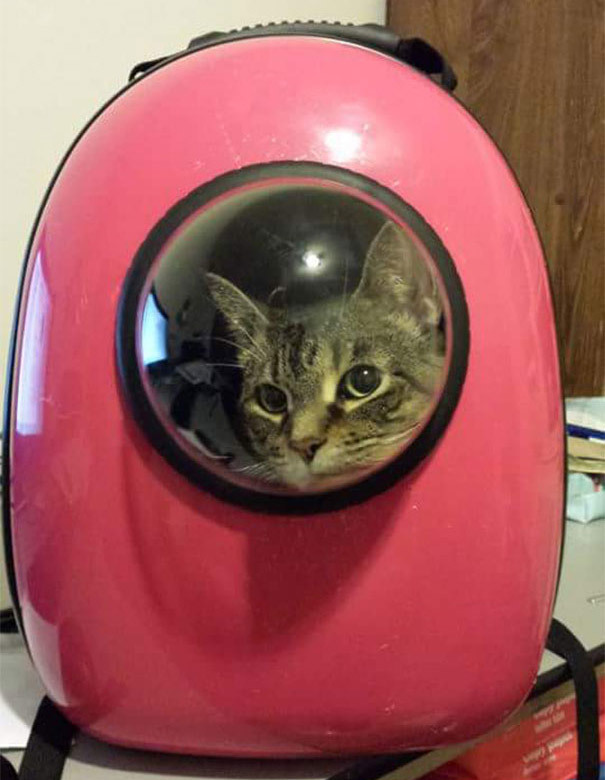 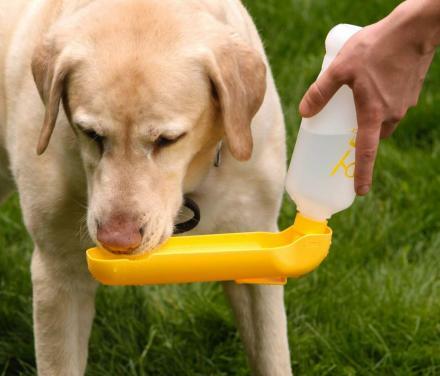 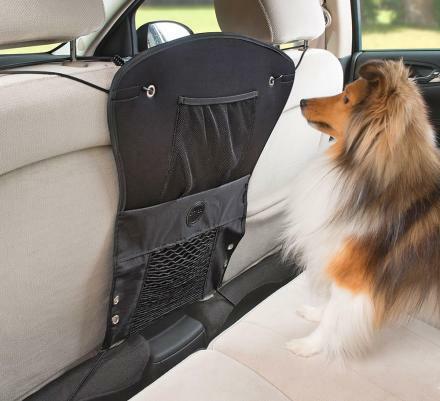 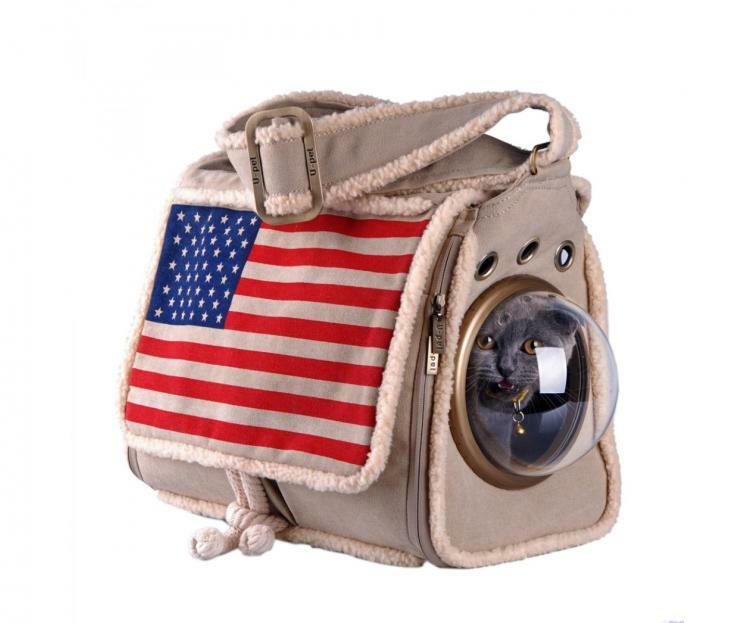 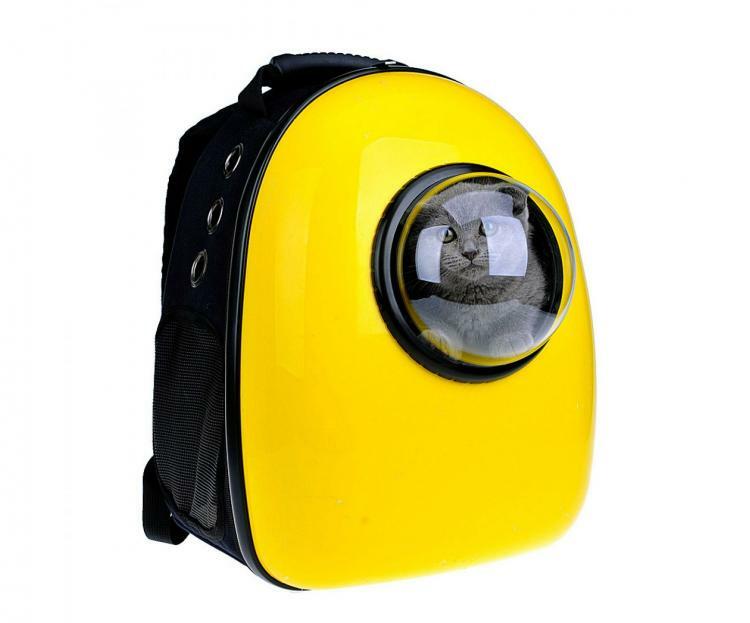 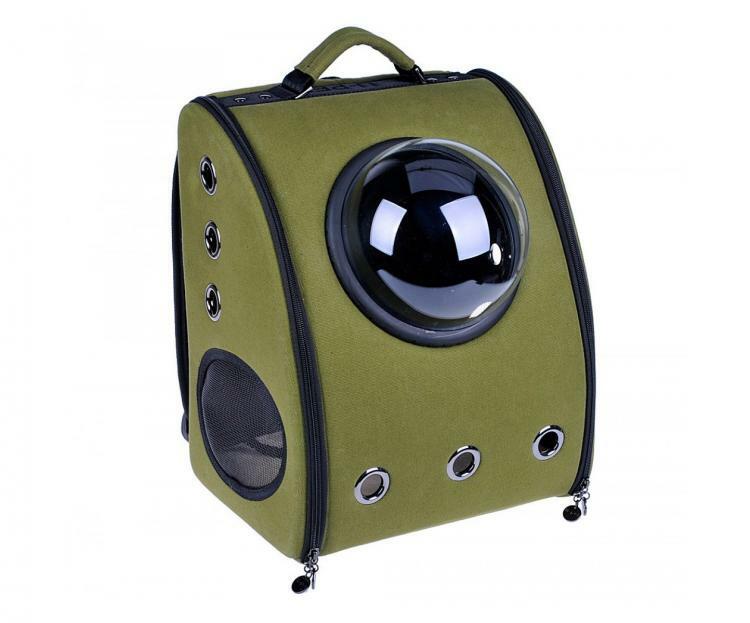 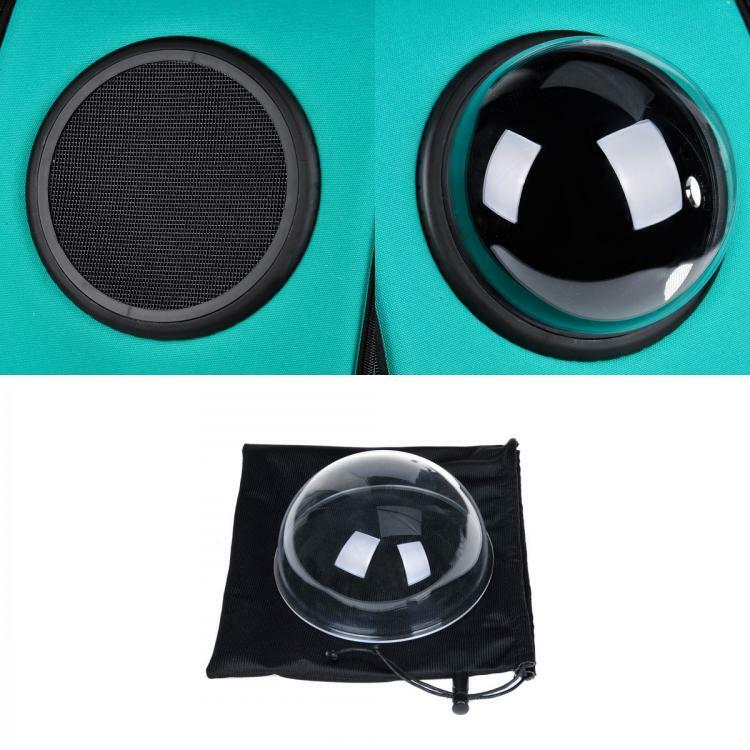 Well now, U-Pet has designed these travel bags for cats and small dogs that have a protruding bubble window on the side of it that allows your pet to see outside while they travel. 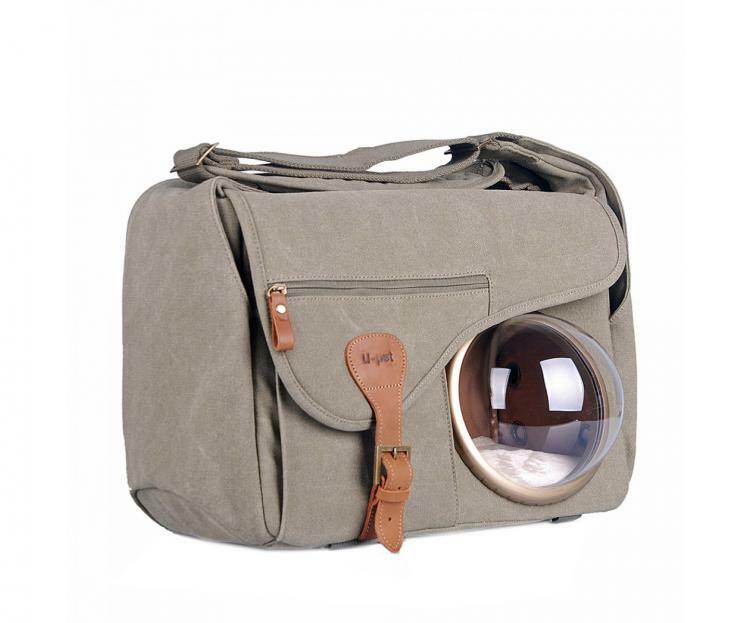 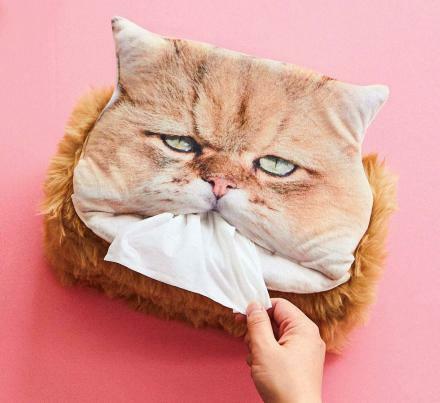 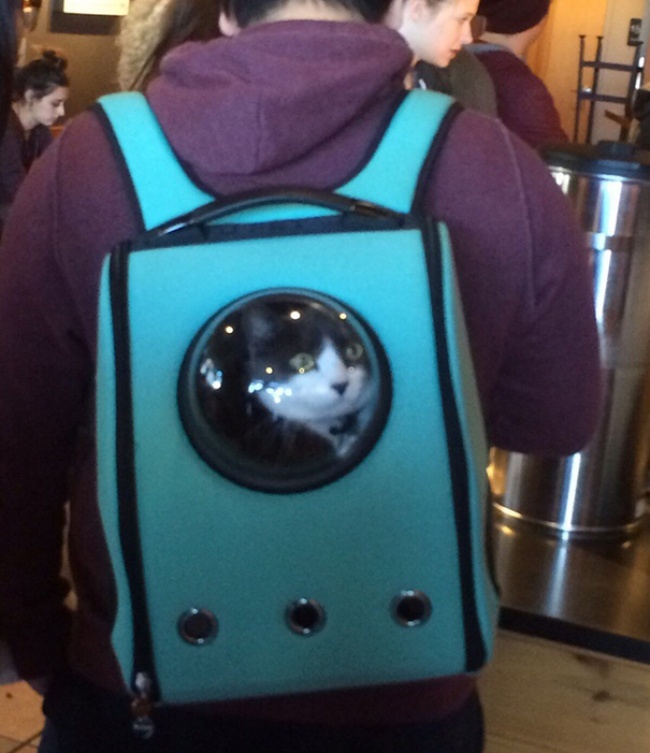 Perfect for people who just can't seem to leave home without their cat, the travel bubble window pet bags acts as a backpack that you can strap to your back, or even works as a car set that you can buckle in to your car so they're safe while driving. 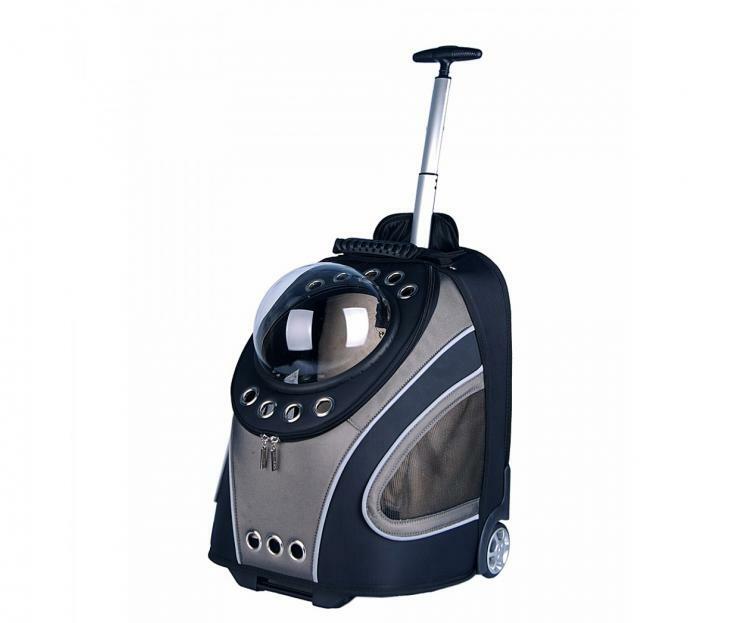 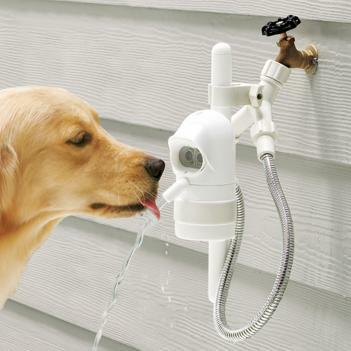 Designed and created by	U-Pet, a New York based company that makes quality pet products for both your pets and pet owners, the bubble window pet bag comes with all the standard functions of a regular pet carrier, but also offers a revolutionary semi-sphere window for your pet to look out at, has a built in security leash, uses mesh panels and ventilation holes to keep fresh air circulating inside, and offers side entries for maximum accessibility. 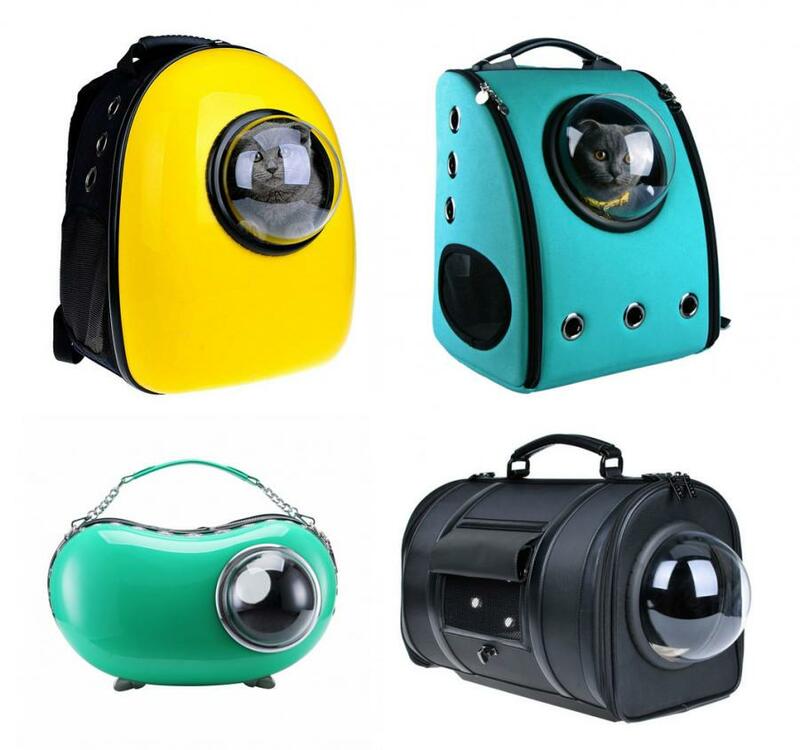 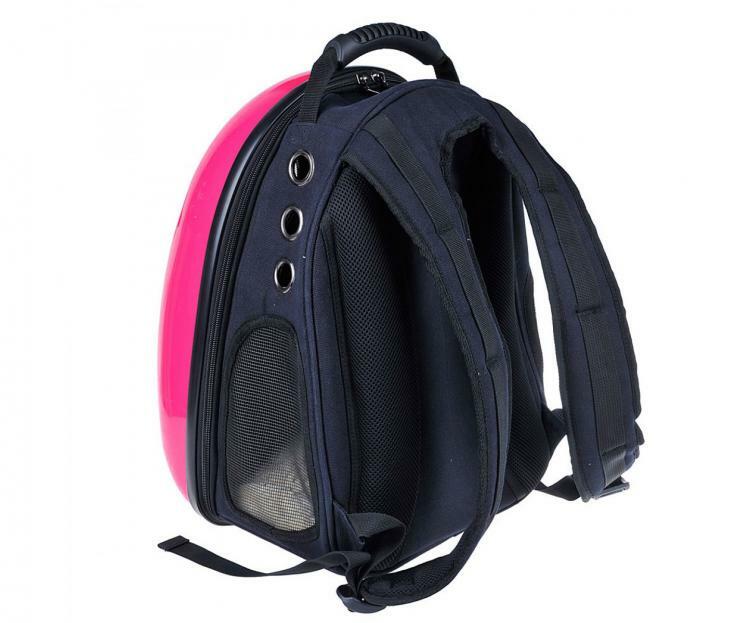 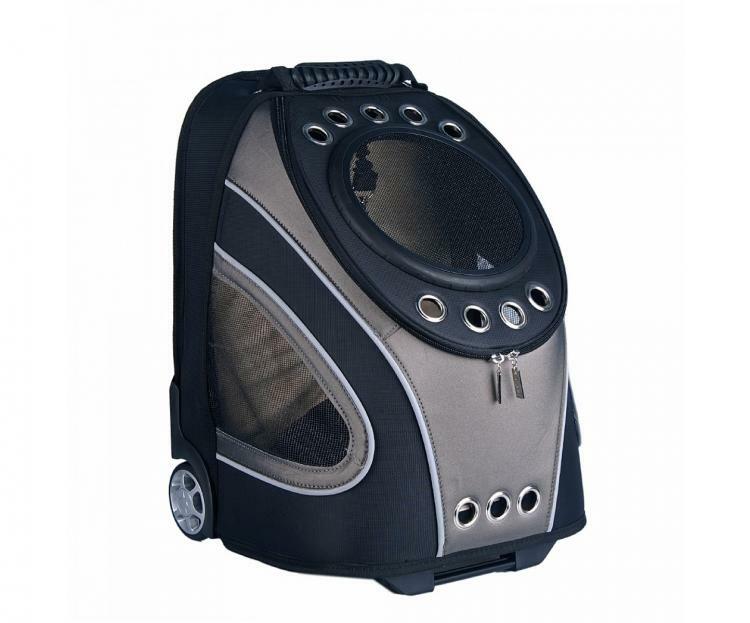 The bubble window pet carrier works with both cats and small dogs, and come in a variety of different bag types and colors to choose from, including backpacks, duffel bags, rollers, sports bags, and messenger bags, which you can find on either Amazon or on their website.